Ultra Shred Stack by Nutrex at Bodybuilding.com! - Best Prices on Ultra Shred Stack! Lipo-6 Black Ultra Concentrate EXTREME CAUTION ADVISED: This is by far the strongest fat destroyer we have ever released. It’s so strong that you can never take more than one pill. This is an ultra concentrated, powerful, one-pill-only formula that is designed to assist your body in destroying fat deposits. 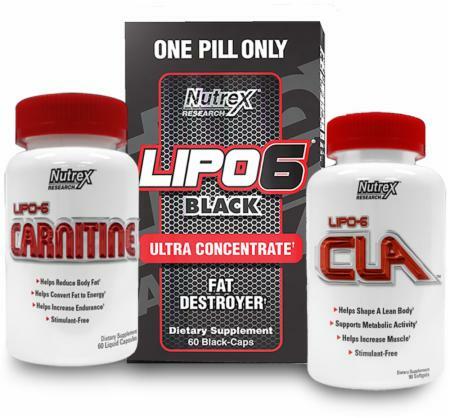 ** To help ensure that your diet becomes a huge success LIPO-6 Black Ultra Concentrate helps support appetite control. 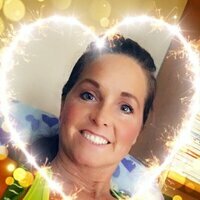 * Next an intense feeling of clean energy will overcome you and keep you going for hours. * Just one pill will set the stage for all-out fat burning. Be warned: LIPO Black Ultra Concentrate is an intense product: A fat destroyer unlike anything else we’ve made. Lipo 6 CLA LIPO-6 CLA is a highly concentrated form of the naturally occurring Conjugated Linoleic Acid. When combined with regular exercise CLA can help you get a lean body. It assists in lean muscle development which in turn supports natural fat-burning as the body burns calories to sustain proper muscle function. * By supporting a higher metabolic activity LIPO-6 CLA helps dieters to achieve their body composition goals. * LIPO-6 CLA is free of stimulants and can easily be combined with other diet products like the ones below in our LIPO-6 Product Guide. To optimize results this product provides CLA in fast-absorbing liquid softgel capsules. Lipo 6 Carnitine L-Carnitine plays an important metabolic role in fat burning and energy production. Scientific research suggests that L-Carnitine assists your body in converting fat to energy. * L-Carnitine helps to tap into your body’s fat supply by providing support to have fatty acids transported to your muscles where they can be burned as energy. This process can aid in weight loss and improve athletic performance such as increased endurance. * LIPO-6 CARNITINE is free of stimulants and can easily be combined with other diet products like the ones below in our LIPO-6 Product Guide. To optimize results LIPO-6 CARNITINE provides L-Carnitine in fast-absorbing liquid capsules. Great fat loss stack. The combination of these three worked wonders for me! The cost is affordable. I will repurchase! Directions for Ultra Shred Stack: Follow the directions on the products' label.